Fermented from the embryo of a special kind of rice bran and rice germ found in the north-east part of Mt Fuji, Japan. NANO Carbolite Night Diet ENZYME is Japan No. 1 that aims to pre-digests the food you eat and breakdown food together before digestion! (1) TO ENJOY FOOD WITHOUT WORRY FOR WEIGHT-GAIN, (2) SUITABLE FOR PERSON WITH DIABETES, WEIGHT-SENSITIVE, (3) BEST FOR SLIMMING USE! I've gone through 1½ boxes. It's like my protection against absorbing all the calories when I know I'm going to eat a lot! I take it occasionally only when I need to. Over 4 months with a low carb diet on usual days I have lost 4kgs, with exercise at least 3 times a week. Fast deliver & received with thanks. It takes abt 3-4 days inclusive of weekend to arrive. Packaging was pretty sturdy. Receives in good condition.. Hope have a good result too..
Dear, try to order 2 x product to get RM93ea but the paying amount is RM298? How to buy at the above said price? 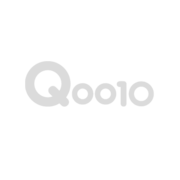 I also have the voucher left from previous order but do not how to use it because it request to write the review and will notify later but never received the notification yet. Good morning and thank you for your interest. To get RM93 each for NANO Carbolite will only show after you apply RM10 Qoo10 Cart Coupon to offset the total amount with minimum purchase upon checkout. Kindly be assured that we always follow our promotion closely. Please attach the photo of the voucher as you mentioned and we can help you to verify. Hope this clarifies. 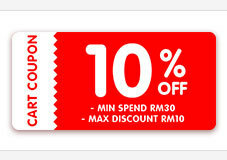 (RM98 x 2-qty) - RM10 Qoo10 Cart Coupon / 2-qty = RM93 each as per advertised. How many box should I add? 3boxes?4boxes?for the buy 3 free 1 promo. And how your promotion buy 3 have rm30 rebate? How i apply? Can i change delivery address for my order already paid ? New shipping address: No.39, Lorong 9, Phase 8, Taman Sri Kepayan, 88300 Kota Kinabalu, Sabah. We are eager to serve you again very very soon! ^^# Wishing you a lovely new week ahead!